Should Someone Mix Old Roof Shingles With the New Ones? To answer that question, we should first look upon the factors that lead to you needing to install new shingles for your roof. The roof may be approaching its 25th year of warranty – yes! This is where most of the roofs’ warranties end and thus they need replacement. In other cases, the roof shingles may begin to curl – this can be due to two reasons, one is due to cup-ping and other is due to clawing. Also, the singles can come out and thus are missing, they begin to crack (Would need replacement) or you begin to find a lot of granules in the gutter. All this leads to only one implication – you need new roof shingles. That being said, you need to put entirely new shingles and not mix the new ones with the old. Let us tell you why! Let alone the fact that mixing the old shingles with the new ones have a tendency to make your new roof void, it will decrease its warranty for sure. Also, you will have to add a layer of insulator as well – this means extra expenditure. The insulators trap heat between the shingles and cause them to wear out quickly. Not to mention, mixing the old shingles with the new ones will create an imperfect seal that can lead to the old shingles coming out more easily than the old ones. 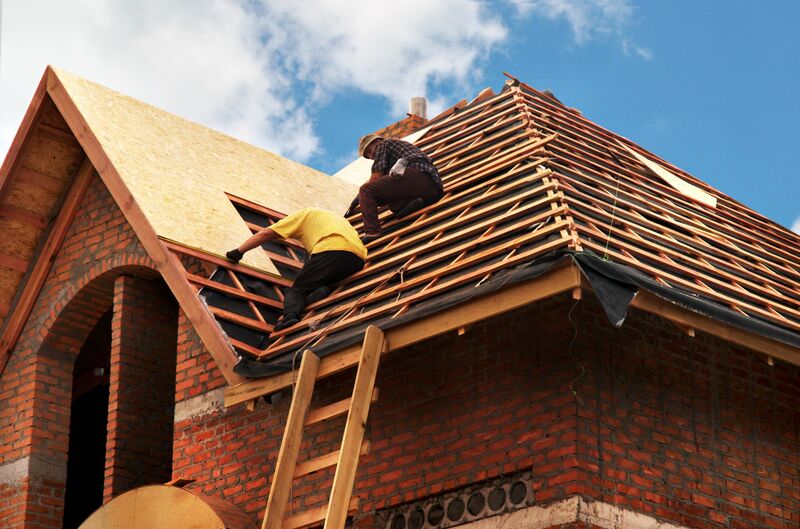 Laying a new roofing over the old one will not allow all the flaws in your roof to be discovered. You may be thinking that the roof was leaking from only one side, but you would not have any idea about the other areas that may begin to leak in the near future. Not only will they bar a complete roof check but since the roof would remain unchecked, this can lead to more roofing expenses in the future. When you want to get a roof that would not need mending for the next 25 years – one that has full warranty, you will have to get the new ice guard, a new eave metal, and a flashing assembly to be installed. None of this can be done without entirely removing the old roof. To install any of the new structures, you will have to get rid of the old shingles and thus mixing the shingles is not a good option. Overlaying – putting new shingles with the old ones, will put significant strain on the frame of your roof and eventually damage it. This puts further financial burden. The added weight of the shingles and the existing hardware will in future make you pay to fix the frame of your roof as well. Don’t forget that layered shingles make the leakages worth and too difficult to be detected. This will affect you negatively when you resale the property, since the roof would not be too reliable in terms of leakages and maintenance. All of the above mentioned reasons will in one way or other make the entire roofing scenario more expensive for you in the long run. It is not wise for you to spend more money unexpectedly and again and again when you can get the job done in one go! Mixing old shingles with the new ones would not make you save more money! Most people who are driven the DIYs put new shingles on the old ones but no expert roofer would recommend you to do so.